This week saw the launch of this year’s Older People’s Festival, at the Hop50+. 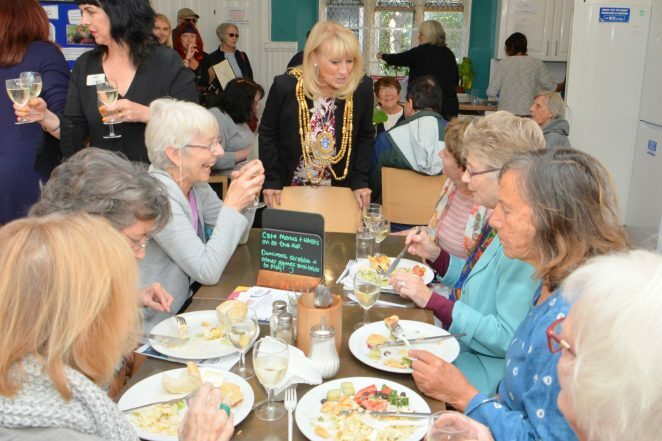 Brighton and Hove’s Mayor, Councillor Dee Simson, opened the festival to an audience of more than 200 people, who had attended to enjoy a programme of singing and dancing and a glass or two of bubbly. The Brighton Beach Boys and Sing for Better Health entertained people who had come from all across the city on a beautifully sunny day. This year’s Older People’s Festival is the biggest yet. Packed full of events to inspire people to get out and about and enjoy being in our wonderful city, it brings a fabulous mix of some familiar favourites, alongside new and exciting opportunities to enjoy, try out and take part in. The Festival offers over 100 events in 58 venues, so there is something for everyone: Music, Film, Dance, Yoga, Art, Sport, Talks, Tours and much, much more.